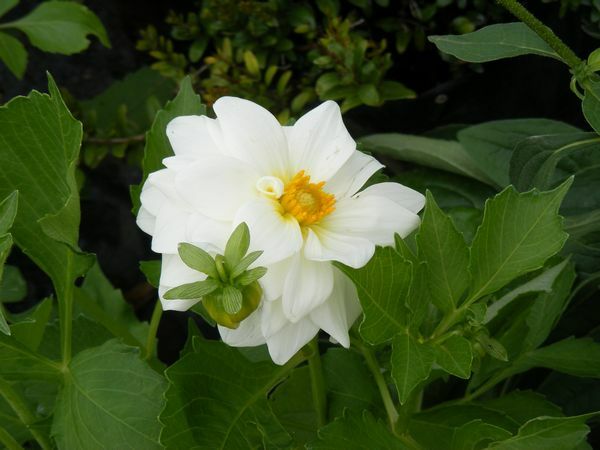 Dahlia is native to Mexico and it was declared their national flower in 1963. The tubers were grown as a food crop by the Aztecs, but this use largely died out after the Spanish Conquest. Dahlia 'Unwins' is a neat compact semi dwarf perennial that can grow up to 50-60cm tall and requires no staking - perfect for the middle of borders where accessibility is limited. 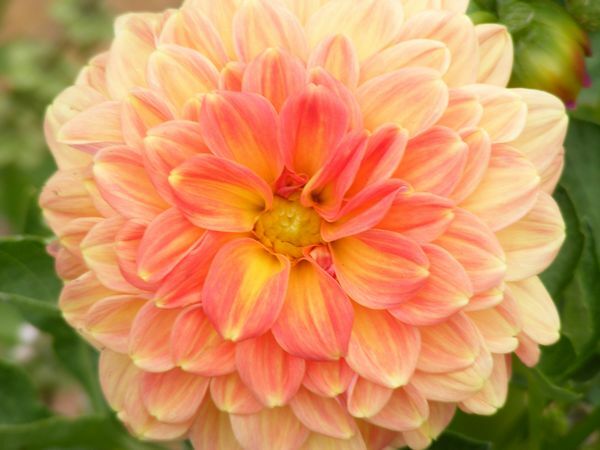 It bears semi-double flowers in a vibrant range of colours, from reds and pinks to orange and yellow. It is a long lasting cut flower. All dahlia varieties are edible. The flowers are used for decorative purposes on cakes, tarts and pastries. It can be served alongside cheese or desserts as a garnish. Remove the petals of the Dahlia and add them to grain or green salads to add a pop of color. The flower petals can be made in a foot soak to soothed tired feet.